Server Colocation is an ideal solution if you already own and/or manage your IT infrastructure. Keeping your servers in-house is suitable for most people; however server colocation in a secure Data Centre becomes a viable option when your systems have to be online 24/7. Web Prophets offers a premium level Data Centre as a Service solution in both Melbourne and Sydney. We guarantee 100% uptime for power and 99.95% uptime for network connectivity. 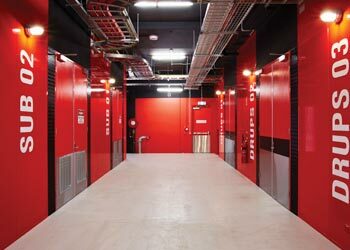 Situated in the heart of Melbourne CBD, the Melbourne Data Centre offers a premium level business-critical service. Situated in Macquarie Park approximately 15km from Sydney’s CBD, S1 offers five storeys of next-generation data centre space that showcases the very latest in energy-efficient data centre design. S1 is one of the few Australian data centres to achieve the Uptime Institute’s industry benchmark Tier III certification for design and facility.